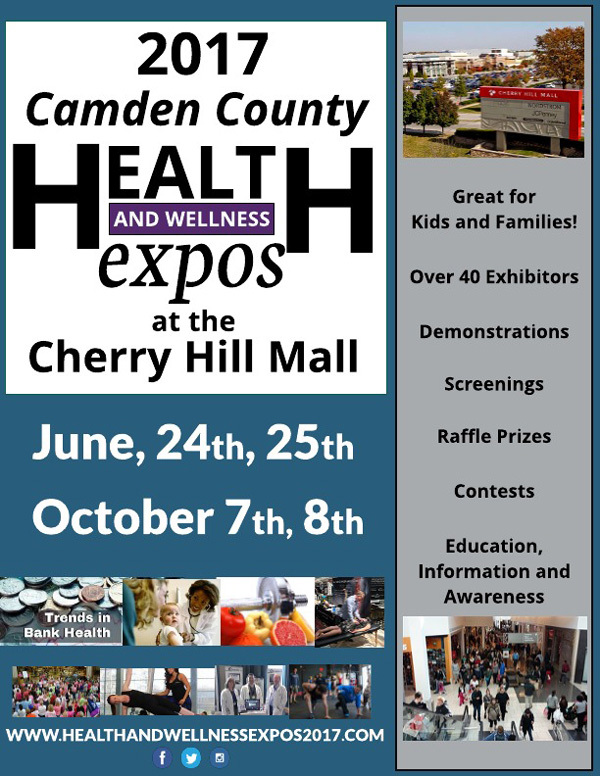 Announcing the Camden County Health and Wellness Expo at Cherry Hill Mall. The Health and Wellness Expo face-to-face format is very popular with the general public in a mall setting. The public can meet and ask questions of traditional allopathic physicians (M.D.’s/D.O.’s), alternative providers (D.C.’s, N.D.’s, Acupuncturists, Massage Therapists), and fitness/wellness professionals (Pilates/yoga/weight trainers etc.). Appointments for services can and should be made at these shows. All of these healers are under one roof and can be accessed by the public at no charge. In a time where costs for healthcare in this country are among the highest in the world, this service is greatly valued.